During the Model 3 unveiling event in March, Tesla CEO Elon Musk made an important announcement curcial to the success of the Model 3: the expansion of its two networks of charging stations. He said that Tesla will double the number of Superchargers to 7,000 units and quadruple the number of Destination chargers to 15,000 units within the next 2 years. We reported last month that the company already started expanding the Supercharger with permits or started construction at 11 new locations (~90 new Superchargers) since the unveiling event. Now Tesla announced an expansion in Canada with 5 new locations – all in eastern Canada. The locations are all in Ontario and Quebec where the governments offer significant EV incentives- still nothing in New Brunswick and the Maritimes. The new stations announced on Wednesday include Huntsville and Parry Sound in Ontario and Magog, Montreal and Riviere du Loup in Quebec. Telsa says a supercharger station can add up to 200 km of range in as little as 20 minutes of charging. 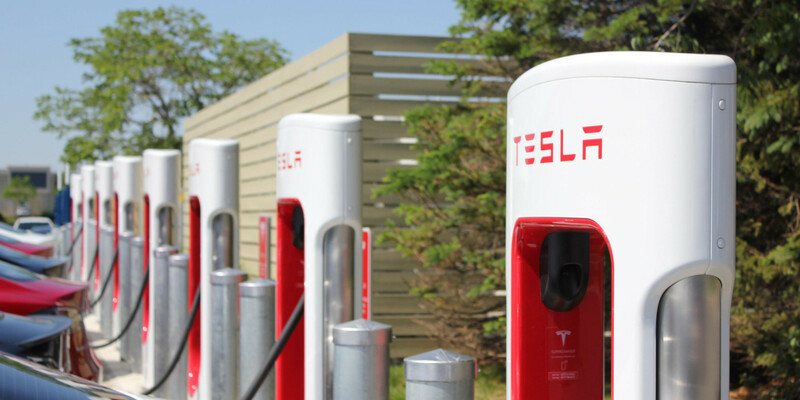 There are currently 18 supercharger stations across Canada — six in British Columbia, two in Alberta, eight in Ontario and two in Quebec. We already knew about a few of those stations like in Montreal, but the confirmation of the timeframe is important. By the end of the year, Tesla drivers will be able to drive from Gaspésie in Quebec to Mexico City without spending a cent on fuel.